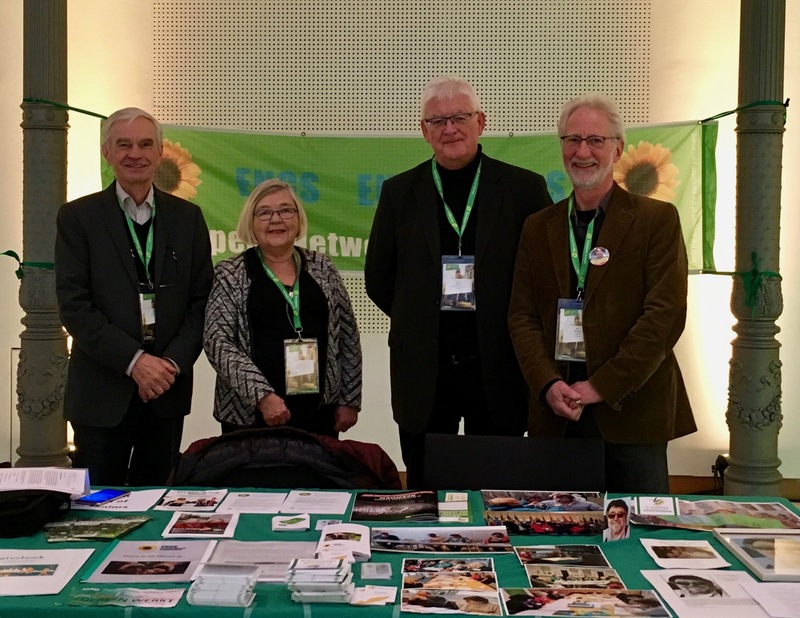 ENGS met 23-25 November 2018 in Berlin, alongside the meeting of the EGP Council. We had first the official General Assembly meeting and later a small board meeting. 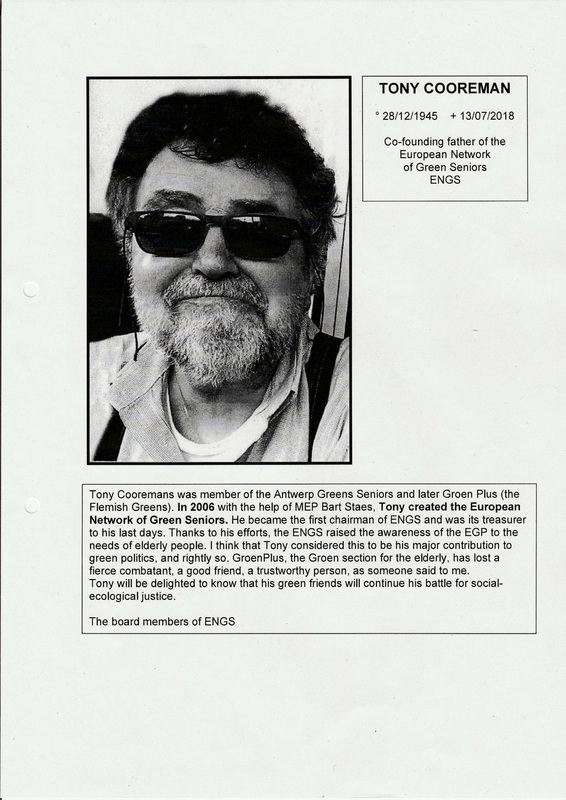 Before handling the issues at the GA agenda we had a commemoration for Tony Cooreman, who passed away in July. He was the founder of the ENGS 2006 and served thereafter as chairman and later treasurer until his death. 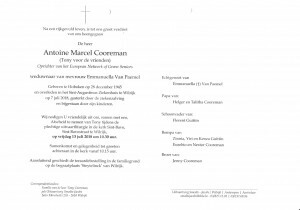 You can find hereafter copies of the commemoration written by Kris Fierens on behalf the ENGS as well as the obituary for Tony. 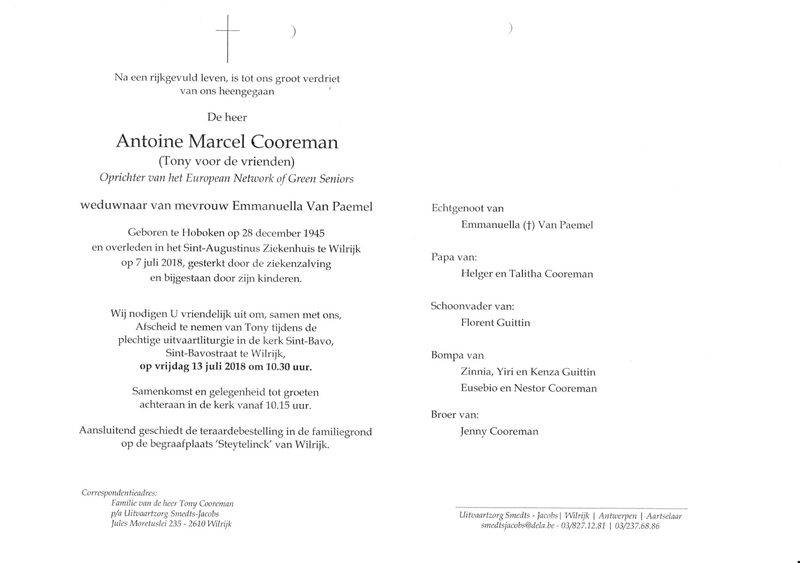 Kris and Frank Hauser attended Tony’s memorial service in Wilrijk. Then, still before the items at the agenda, we met with Katri Ylönen, co-chair of the young Greens (FYEG). We found several areas where the interests of the young and the old meet, and we spoke about possibilities to co-operate on those. Among such items might be e.g. housing, health care and basic income. We had a chat on this issue also in our Board meeting as one item of our brainstorming. In the GA two outsiders attended, one from Scotland and the other from Germany. We made decisions on normal formalities and in addition discussed of the ways and means to attract new members. Finally we discussed preliminary on the composition of the Board – the mandate of the members ends next spring. No fringe meeting was arranged this time. 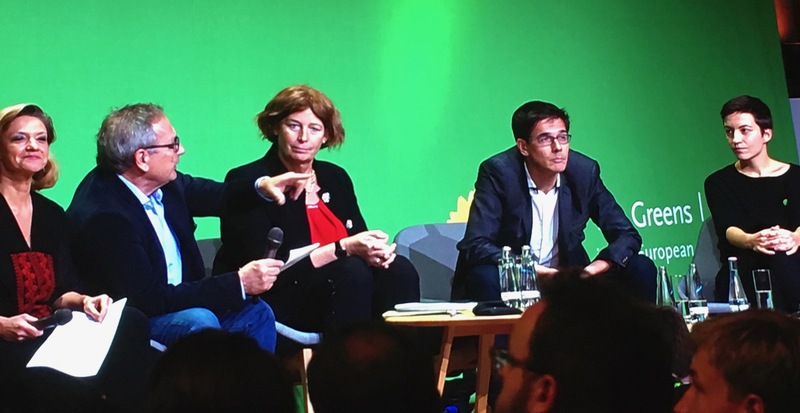 No EGP Council will be arranged next spring due to the EP elections next spring. 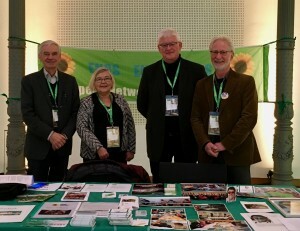 Therefore we spoke of a possibly extraordinary GA during spring in Vienna in order to give Birgit a possibility to attend. In any case in accordance to our statutes new the Board should be elected then. 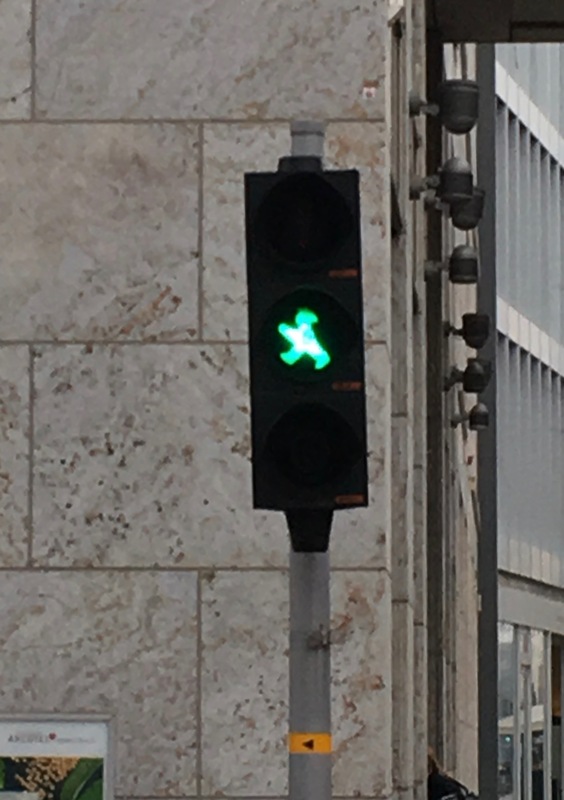 No decision was made. In addition to ENGS items, most of us followed with keen interest the “battle” between the three (in fact quite unanimous) applicants: Petra De Sutter (BE), Ska Keller (DE) and Bas Eikhout (NL), to be nominated as spitzencanditates. As most of the readers already know, Ska and Bas were elected. PS. next EGP will be autumn 2019 in FINLAND.